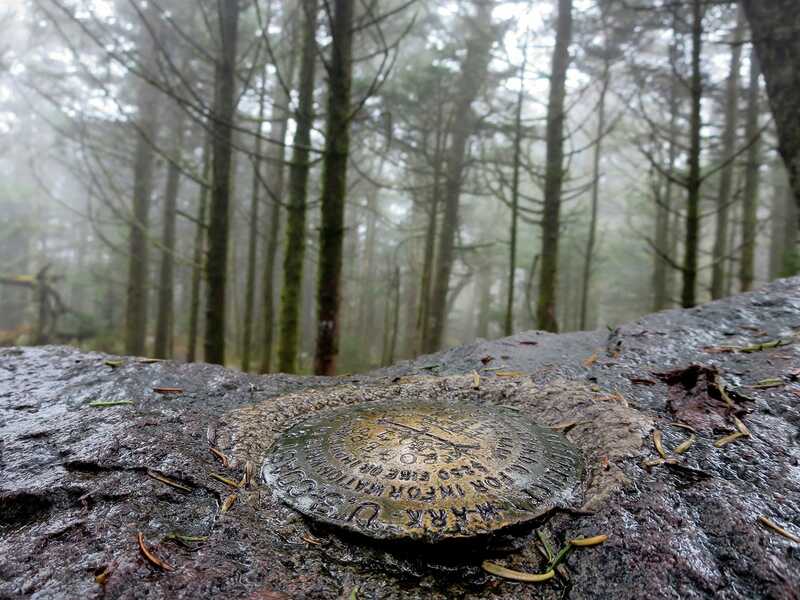 U.S. state highpoints come in all different shapes and sizes, and each is unique in its own way. In some states, finding a way to stand atop its highest point is often more about finding an obscure spot in an unexpected place, while in other states the journey can involve a long hike, backpack and/or climb to reach the destination. Virginia’s Mount Rogers falls more into the latter category. The trail up Rogers from Massie Gap is a longish hike, but I suppose the definition of “longish” depends on circumstances. You see, I have this little problem in that I like to hike long trails but certain members of my family don’t necessarily share my views on this. Their tiny legs have to work harder to get those miles in, and I need to factor this into any trail plans. But then there are the ponies. 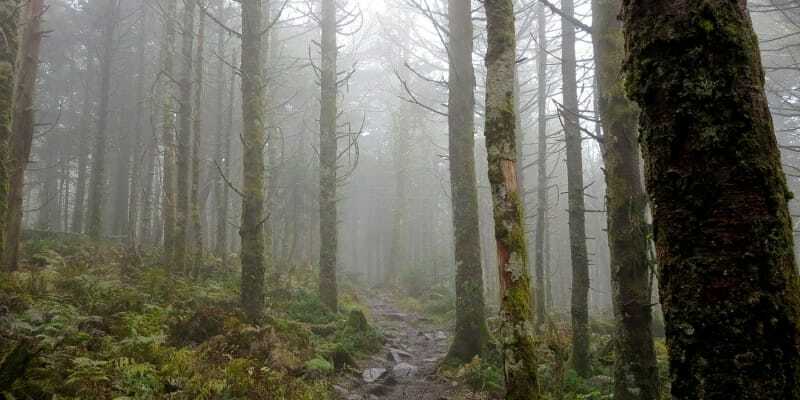 Hiking Mount Rogers via Massey Gap is different from your standard hike in that it offers some unique wildlife-sighting benefits. Playing up these benefits went a long way to get the excitement up about this hike with my small hiking group. 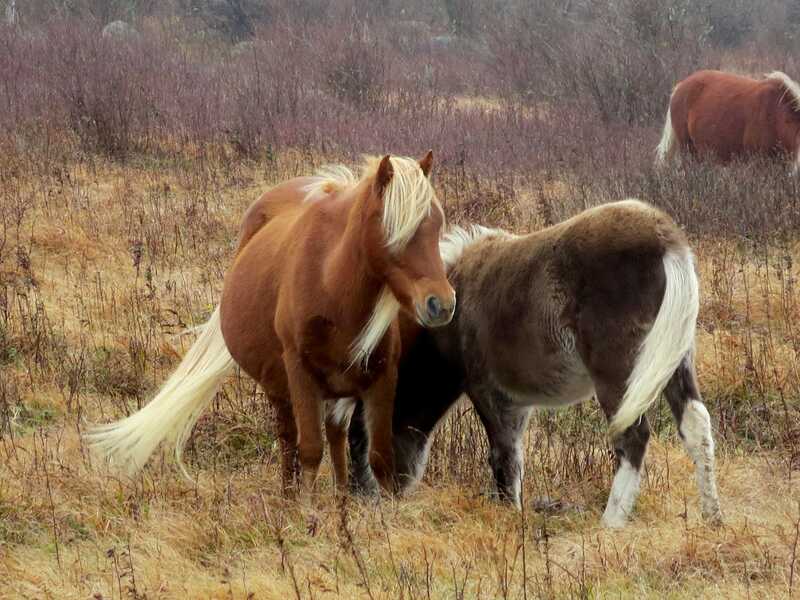 Wild ponies frequent the areas surrounding Mount Rogers, so sightings of these feral pony herds are extremely common on this route. 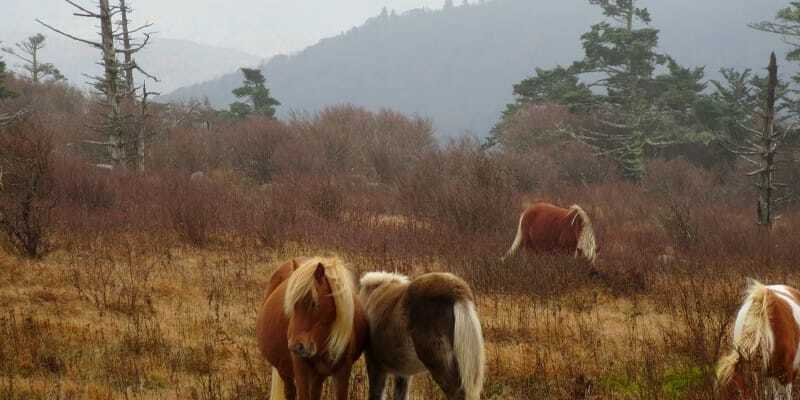 In fact, hikers can often safely get within feet of these largely calm animals, to the delight of many a pony-loving kid out there. 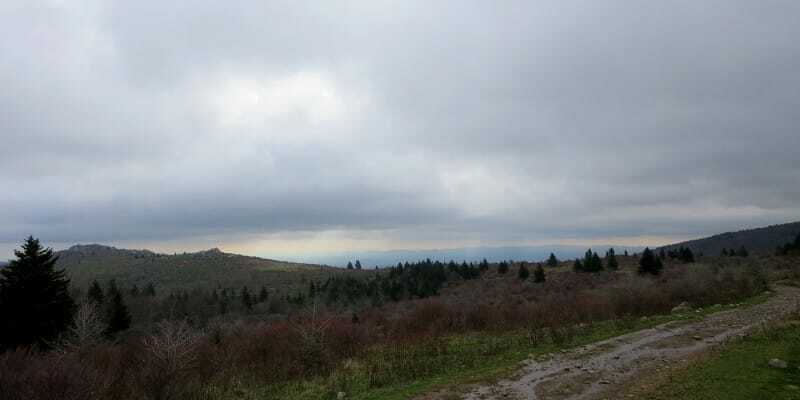 Additionally, a portion of this hike occurs on the Appalachian Trail, which gives the bonus of well-maintained trails, frequent camping spots, and even a shelter (Thomas Knob Shelter). We began at the Massie Gap trailhead and started up the Rhododendron Gap Trail. In about three-quarters of a mile, we reached the junction with the Appalachian Trail and started up the AT heading toward Mount Rogers. Approximately a half-mile from this junction is when the ponies first came into view. Have I mentioned the ponies? On this day, the pony sightings were frequent and close. We had no trouble locating the herds and took our time snapping a ton of photos as the feral ponies casually dined on varying vegetation. At about the 1.5-mile mark, we reached the junction with Wilburn Ridge. Rogers’ hikers can take this or continue on the AT (white blazes) to the right. 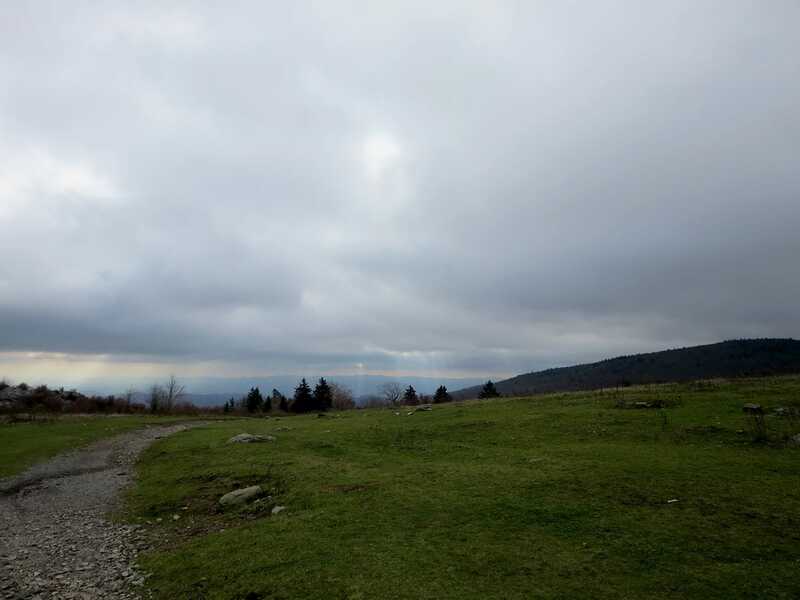 We chose the AT route, as it was rumored to be slightly less difficult. 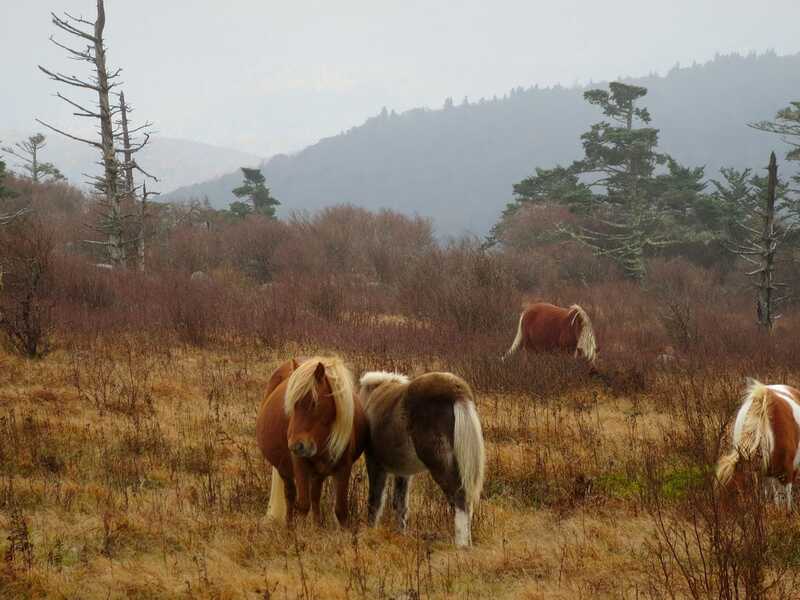 A few more wild pony sightings rounded out this portion of the hike as we neared Rhododendron Gap. 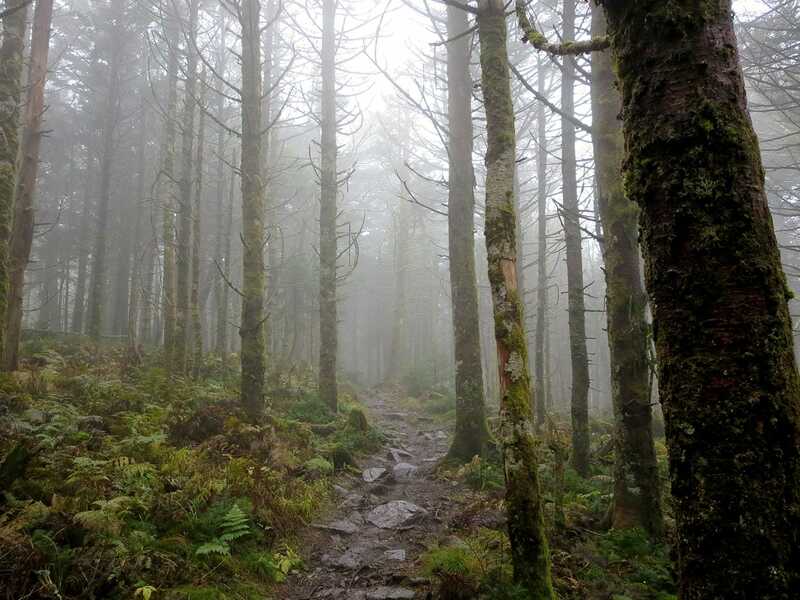 We reached Rhododendron Gap at about the 2.5-mile mark and continued following the AT (white blazes) toward Mount Rogers. About a mile of hiking brought us to the Thomas Knob Shelter. For those looking to camp as part of a Rogers trip, this area between Rhododendron Gap and the Thomas Knob Shelter had some great spots. 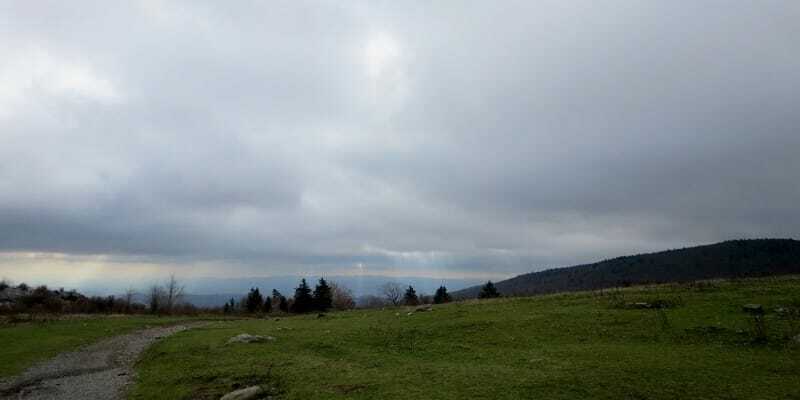 Shortly after the shelter, the AT meets up with the Mount Rogers Spur Trail. 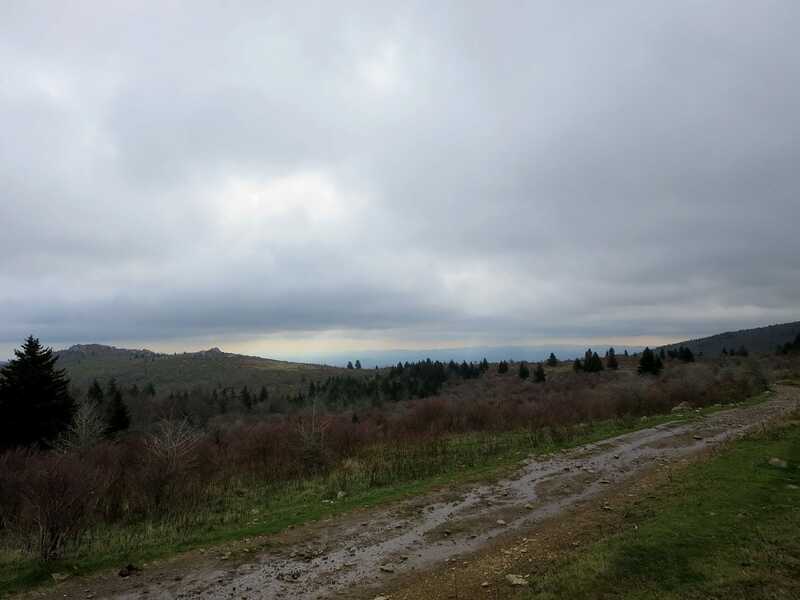 I took this short trail about a half-mile to the highest point in the state of Virginia. It was a frigid, windy day and a long time on the trail, so I jogged up the last half mile to the summit and back solo, while my cold and tired family ate some lunch. This hike is a tale of two hikes in one. There’s the first 3.75 miles of picturesque AT trail hiking, and then there’s the last half mile up to the summit of Rogers. Not since my days living in Seattle have I felt more like I was in the Pacific Northwest than the last portion of trail leading up to the summit of Rogers, which is completely tree-covered (no views from up there). I felt suddenly transplanted to a damp, Seattle-area old growth forest marked by tall pines covered in varying shades of green. You should be able to see my GPX track loaded on the map above. Get in touch if you want to use this for your own hike. Trailhead lat/lon: 36.6332,-81.5085. 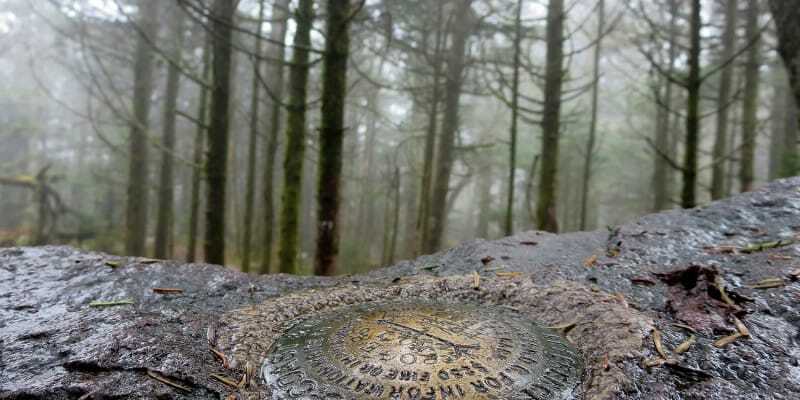 The trailhead is located in Grayson Highlands State Park and is approximately one hour south of Marion, VA via VA-16, US-58 and VA-362.